Njabulo Ndebele is the past Vice-Chancellor of the University of Cape Town, where he served two terms. He has a Master of Arts in English Literature from the University of Cambridge and a Doctorate of Philosophy in Creative Writing from the University of Denver. He was a previous Ford Foundation scholar-in-residence, Vice-Chancellor and principal of the University of the North and Vice-Rector of the University of the Western Cape. He holds honorary doctorates from universities in the United Kingdom, the Netherlands, Japan, South Africa and the United States of America. He is currently chairman of the Mandela Rhodes Foundation, the Nelson Mandela Foundation and the MTN (SA) Foundation. He is also the president of the UBLS Association. His novel, The Cry of Winnie Mandela, was published to critical acclaim in 2003 (a revised edition was published in 2013). As a public figure, he is known for his incisive insights on a range of public issues in South Africa. Mamphela Ramphele has been a student activist, medical doctor, community development activist, researcher, university executive and a global public servant, and is now an active citizen in both the public and private sectors. Following the Soweto uprising in 1976, she was detained without trial, released after five months and soon afterwards served with an apartheid banning order. She studied medicine at the then University of Natal, has a B Com degree, a Diploma in Tropical Hygiene, a Diploma in Public Health and a PhD in Social Anthropology. She went on to become Vice-Chancellor of the University of Cape Town, then one of four managing directors of the World Bank, based in Washington, DC. She is the author of several books and publications on socio-economic issues in South Africa, and has received numerous national and international awards. She served as chairperson of Gold Fields, Circle Capital Ventures (Pty) Limited and Technology Innovation Agency (TIA), and as a director of Medi-Clinic Corporation Limited and Remgro Limited. She was founder of the Open Society Foundation for South Africa and the Citizens Movement. In January 2013, she became the leader of Agang SA, which won two seats in the national elections in May 2014. Post-elections, she has stepped away from party politics to return to her role as an active citizen. While working for the Johannesburg City Council in the 1970s, Kgalema Motlanthe was recruited into Umkhonto we Sizwe (MK), the then armed wing of the ANC. After 11 months’ detention in John Vorster Square Police Station in central Johannesburg, he was sentenced to an effective 10 years’ imprisonment in 1977 which he served on Robben Island. After his release in 1987, he was tasked with strengthening the trade union movement while working for the National Union of Mineworkers (NUM). In 1992, he was elected as NUM General Secretary and was involved in the establishment of the Mineworkers Investment Company and the Mineworkers Development Agency, which focused on the developmental needs of ex-mineworkers, their dependants and communities. He also served two five-year terms as Secretary General of the ANC. He was president of South Africa from September 2008 to May 2009. During this time, he joined world leaders in the G20 and other multilateral bodies to respond to the global financial crisis. At home he worked with organised business, labour and civil society to minimise the impact of the crisis on South Africa’s economy. After the end of his presidency, he was appointed deputy president by his successor, Jacob Zuma, and held this position until May 2014. Futhi Mtoba is chairperson of Deloitte Southern Africa. She joined the firm in 1988 and rose through the ranks to become the first black female partner, and subsequently chairperson, at Deloitte Southern Africa. She is also the past President of the Association for the Advancement of Black Accountants of Southern Africa (ABASA), a body dedicated to nurturing emerging black accountants. She serves as Chairperson of Council at the University of Pretoria, as a Board member on the Allan Gray Orbis Foundation and the United Nations Global Compact, as chairperson and a trustee of WDB Trust. In June 2009, she was appointed by Business Unity South Africa (BUSA) as chairperson of the National Anti-Corruption Forum and, in May 2010, she was appointed president of BUSA. Her awards include the 2004 Businesswoman of the Year – Nedbank and Business Women’s Association, the 2005 OWIT (Organisation of Women in International Trade – USA) International Woman of the Year, and the Tuksalumni Laureate Award 2008. Tokyo Sexwale was a member of the Black Consciousness Movement in the late 1960s before he joined the ANC in the 1970s. He served 13 years on Robben Island for his political activities before being released in 1990. After the 1994 election, he was the first premier of Gauteng Province, later served as Minister of Human Settlements and is currently an Honorary Colonel in the South African Air Force. He founded Mvelaphanda Holdings (Pty) Ltd, primarily a mining and energy house with a range of other business interests. He is also a trustee and founder of the Sexwale Family Foundation and the Desmond Tutu Peace Trust. He is a member of the Brookings Institution International Advisory Council, and of FIFA’s Global Task Force Against Racism and Discrimination and its Media Committee. He is also the founder of Global Watch: Say No To Racism Discrimination in All Sport. He holds honorary doctorates from universities in the United Kingdom and United States of America, and has authored numerous political and economic articles as well as poetry. During her prolific career, Maya Makanjee has gained experience across a number of different fields, including director positions in human resources, marketing and communications, corporate affairs, strategy, and business re-engineering. Makanjee holds a Master’s degree in Business Leadership and is currently Chief Officer of Corporate Affairs at Vodacom, a position she took up in 2012. Prior to that, she was the Chief Executive Officer of FinMark Trust, an organisation that makes financial markets work for the poor across Africa, and Corporate Affairs Director for SABMiller’s operations in Africa and Asia. Makanjee sits on the boards of Vodacom (Pty) Limited, Tiger Brands Limited and the Worldwide Fund for Nature (WWF), and joined the Board of Trustees at the Nelson Mandela Foundation in 2015, bringing her extensive commercial background, as well as a good understanding of and passion for making a difference to society at large. Irene Menell is active in a number of public benefit organisations and also serves on the boards of the Nelson Mandela Children’s Fund and the READ Foundation, among others. She is the patron of Afrika Tikkun and a past member of the Broadcasting Monitoring and Complaints Committee, a statutory sub-committee of the Independent Communications Authority of South Africa, as well as the UCT Foundation, of which she was chairperson until retiring in 2008. She has had a lifelong interest in the performing arts, education and issues relating to children’s rights. Trained as an historian, Carolyn Hamilton holds a National Research Foundation Chair in Archive and Public Culture at the University of Cape Town (UCT) and has published widely on the preindustrial history of South Africa. Her recent work focuses on the limits and possibilities of archives, and on operations of power in and through archives. 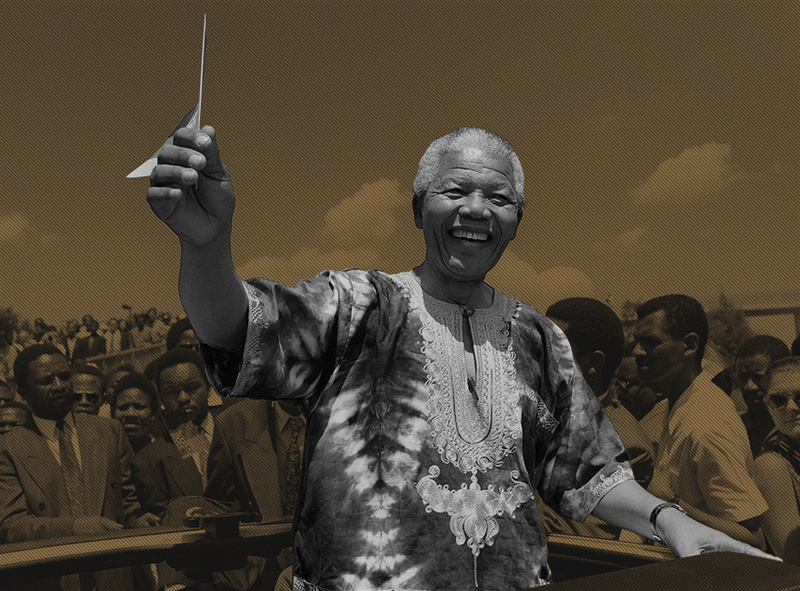 Along with the Nelson Mandela Foundation, Hamilton was responsible for the establishment of the Archival Platform, a civil society-based intervention in the politics of archive and the role of archive in a democracy. She currently hosts the platform at UCT, and was previously a member of the board of the South African History Archive, the inaugural Council of Robben Island and a founder member of the Gay and Lesbian Archive. After Mr Mandela was released in 1990, she had what she refers to as the “terrifying honour” of being one of his speechwriters. Having joined the Nelson Mandela Foundation’s Board of Trustees in 2015, Hamilton contributes to the Foundation’s work in investigating the role of archives in public life. Sello Moloko chairs the Investment Committee of the Nelson Mandela Foundation. He was appointed chair of the Board of Alexander Forbes in December 2007. He is the Non-Executive Chair and Founder of Thesele Group, a diversified investment holding company. He is the former CEO of Old Mutual Asset Managers and former deputy CEO of Capital Alliance Asset Managers, firms he initially joined as portfolio manager and analyst respectively. He was a member of the Old Mutual SA Exco and served on Boards of subsidiaries of Old Mutual. He has in the past also served on several company Boards including Makalani Holdings, Seartec Industries and the Industrial Development Corporation of SA. He currently serves as Non-Executive Chair of Sibanye Gold, Non-Executive Director of Acucap Properties Limited and Non-Executive Deputy Chair of Sycom Properties Limited. He was the National President of the Association of Black Securities and Investment Professionals (ABSIP) from 2005-7. In 2003, ABSIP presented him with the Financial Services Pioneer Award following his achievements in the field of investment management. As one of South Africa’s leading radio and television news personalities, Nikiwe Bikitsha brings a fresh, youthful dynamic to the Nelson Mandela Foundation’s Board of Trustees. Bikitsha was the senior news anchor at eNCA for six years, a position that put her at the forefront of major local and international developments, and afforded high-profile interviews with global leaders including Thabo Mbeki, Al Gore, Kofi Annan and Mo Ibrahim. Bikitsha also co-anchored AMLive on SAfm with veteran journalist John Perlman, and in 2006 received the Women in Media Rising Star award for excellence in journalism. This broad media experience puts her in good stead to champion the Foundation’s work in promoting Mr Mandela’s legacy through various outreach programmes, and to create awareness around the Foundation itself and help facilitate its dialogues.